More and more individuals and businesses are realizing the efficiency and productivity benefits of private jet aviation. Their time in the air is more productive, relaxing, and enjoyable than ever before. An otherwise lost day can become a valued family memory with the elimination of scheduling restrictions and common delays of scheduled commercial travel. Simply put, flying privately gives you more freedom and control to make the most of your time and your life. Private jets have access to more than 5,000 airports in the United States and Europe alone. Therefore, when flying for business or pleasure, private aviation users have the additional advantage of avoiding congested airline hubs by flying into smaller “reliever” or “general aviation” airports most often located closer to their final destinations. In short, they are opting for comfort, convenience, service, security, and privacy while avoiding the hassles, inconveniences, and concerns of commercial travel. Most of all, they are saving their most precious commodity – time – all the while enhancing their overall flying experience. The desire to save time, make their employees more productive, and run their businesses properly are the primary reasons most businesses have traditionally invested in private aviation. Passengers traveling on private jets can achieve dramatic time savings when compared with the time that would be required to travel the same routes and accomplish the same objectives using commercial airlines. Businesses who use private jet aviation realize measurable competitive advantages. They are successful at compressing trips that may take as many as three days flying commercially into one day of productive private flying. In addition, individuals overwhelmingly comment on the productivity gained because they can work en route without compromising confidentiality. Private jet aviation makes it easier to realize the benefits of face-to-face interaction. Since private flyers are in control of their schedules, it is possible to attend a hastily-scheduled meeting or to send a team to support a customer in an emergency. 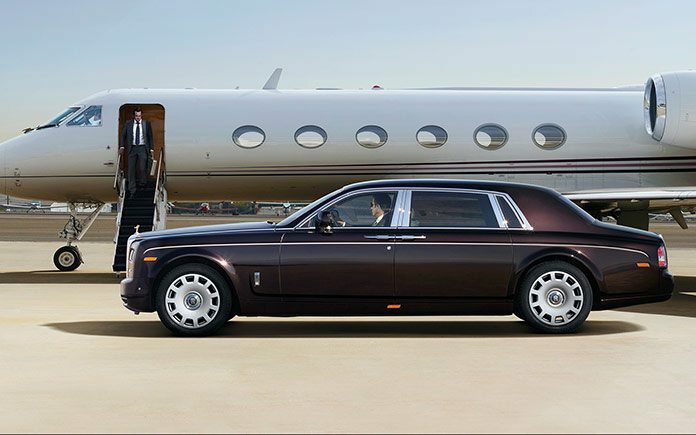 Flying privately whether for business or pleasure allows you, not the commercial airlines, to dictate your schedule. Finally, travel aboard private aircraft offers enhanced security and privacy. Passengers control with whom they fly and can depart at almost any time they choose from FBO (fixed based operator) facilities where access is restricted and monitored. This is of great value both personally and professionally, as it eliminates eavesdropping, reduces travel visibility, and protects passengers’ privacy. How to determine which private jet aviation option is right for you? • How long do you stay? • How many people travel with you? • How many hours do you spend in the air every year? From an economic perspective, charter services may be best suited for individuals and businesses who travel infrequently and whose flying needs fluctuate. There are two types of charter service models. First, there are companies that directly operate the aircraft they make available for charter. Will I be flying in an aircraft directly managed by the charter company I have contracted with, or will I be brokered to another charter operator? If the flight will be brokered, what is the name and operational history of the company that will actually provide the service? And what obligations does the charter broker maintain and have towards me and that specific flight? What is the age of the aircraft and who is the party responsible for maintaining it? What training do the charter pilots receive? How many hours of experience do the pilots have in the aircraft type they are flying? What level of insurance coverage is in force that protects me? What’s the charter provider’s safety record? Many of the criteria for evaluating fractional aircraft ownership and private jet card companies covered later in this guide should also be used in assessing and selecting charter providers. You should be careful to select a provider that operates and maintains their aircraft to the highest industry standards. If you are using a charter broker, it is difficult to determine if the providers they select are of the highest quality since the charter broker business model dictates the selection of the lowest cost provider and not necessarily the provider with the highest quality service. As such, the charter broker and your interests are not fully aligned. Further, charter services of any type cannot always provide a plane where and when needed. You may also incur costs for late cancellations, positioning/repositioning an aircraft to/from your location, one-way flights, late fees, landing fees, or unexpected taxi time. In addition, when you charter an aircraft, you could be subject to daily hourly minimums and additional charges for catering, telephone, fax, internet, or other in-flight services. One of the key considerations is how your provider will handle a recovery situation. Aircraft are highly sophisticated pieces of machinery and, even if well maintained, they do break. Investigate what plans your charter provider has in place to provide you with a substitute aircraft should your initial aircraft be unable to perform your trip mission. Key questions will include expected time for the substitute aircraft to arrive, potential compensation, fees related to positioning the substitute aircraft, and any other charges related to your delay. Another alternative, best suited for those who generally fly 25-50 hours per year or who prefer a short-term commitment, is to purchase a pre-paid private jet card. On the surface, all private jet card programs feature similar benefits, but in fact, there are some very important factors you should consider before selecting a program. Many jet card programs are just another form of charter brokerage. These charter jet card programs require an upfront payment or deposit to join the program and then draw against it a fixed hourly charge for each flight based on the category of aircraft you fly. You tell the program operator the category of jet you want, and then they charter an aircraft from a pool of charter providers. Their profitability and business model is based on accomplishing your mission at the least possible cost, and the charter aircraft the broker selects for you tend to be older. As a result, the product and service delivered may be inconsistent. From flight to flight, you have no control over the aircraft on which you fly, the pilots, or the aircraft operator. Effectively for your money, the charter broker and your interests are not fully aligned. Many of these programs do not take responsibility for the actions of the charter vendors, and the insurance coverage you are provided will vary from vendor to vendor. So, as with chartering, you will need to ensure that you are selecting a quality program that puts your best interests first. Other jet card programs are offered by fractional aircraft ownership companies. With these, you also make an upfront payment. However, your money buys you flight time in the specific aircraft type of your choice and gets you a set number of occupied flight hours per year, typically 25 hours. Therefore, you will know the aircraft type on which you will fly, the pilot training, and the standards of the company operating it. There are no unknowns as to the level and type of insurance coverage you receive and the average age of the fleet. An additional benefit of fractional jet card programs is that they provide consistently high quality, personalized 24/7 customer service, and are completely integrated with the fractional aircraft ownership company performing all flight operations. Jet card programs offered by fractional aircraft ownership companies are as different as the fractional programs themselves. Accordingly, be sure to compare the fractional companies offering the jet card programs. Key differentiating factors include: full domestic and international capabilities, fleet size, and aircraft choices. When an individual or business flies 50 hours or more per year, fractional aircraft ownership is often the most cost-effective transportation solution. It is particularly advantageous for those who often fly with short notice or during peak demand periods; require departures from multiple locations; need more than one aircraft per day; and demand reliable, guaranteed service and the highest standards of safety. In fact, many businesses utilize fractional aircraft ownership programs either as a supplement to their own fleet or as their primary method of private flying. NetJets created the concept of fractional aircraft ownership 25 years ago and continues to set the industry standard for safety, security, and service. The ownership of an entire aircraft may be best suited for individuals or businesses that typically fly more than 400 hours per year and do not mind the responsibility of managing an aircraft. Limited aircraft at your disposal increase your chances of scheduling conflicts. Access only to the aircraft type owned means the aircraft type may or may not fit the mission. Risk of delay if your aircraft is out of service for maintenance. Unpredictable costs resulting from unforecasted events that may make budget forecasting a challenge. Deadhead flights add increased costs from flying an empty aircraft to a location to pick up passengers. Need to pay for all hours the aircraft is in the air including both occupied and positioning flights. Need to hire experienced pilots and provide ongoing training. Aircraft maintenance standards vary in cost and by location. Do your trips originate from multiple locations? Do the number of passengers and the distance of trips vary? Do you stay for multiple days? Do your personal or business needs make an “out-of-service” plane unacceptable? Do you often need more than one aircraft on a given day? If you already own an aircraft, does it often “deadhead” or fly empty? The optimal solution may involve a combination of the above alternatives. For example, fractional aircraft ownership provides the supplemental “lift” that allows companies to keep their fleet operating smoothly 24 hours a day, 365 days a year. This supplemental lift can be used as an efficiency enhancement tool to create greater utility and operational cost savings within the fleet to avoid lengthy and wasteful positioning flights or may be needed when an executive unexpectedly needs to be picked up in an out-of-the-way location, an aircraft is out of service for maintenance, or a surge in air travel requirements temporarily outstrips their fleet’s capacity.